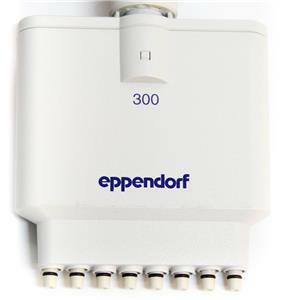 This is a lightly used Eppendorf pipet system. This 8 channel pipettor is equipped with o rings on each of the 8 channels. 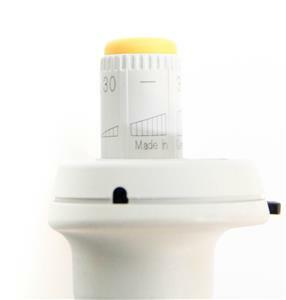 This pipet system is adjustable between 30-300µL. 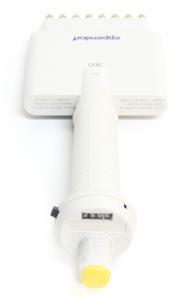 This item is adjustable via a twisting head that can increase or decrease the amount µL you need. 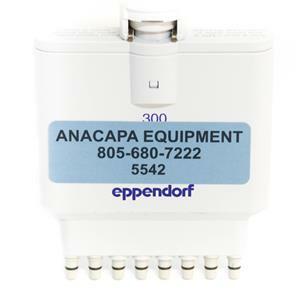 This item has interchangeable manifolds, to remove the manifold all you have to do is adjust volume to the highest setting. See images for full description. 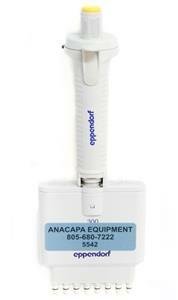 Description: This is a lightly used Eppendorf pipet system. 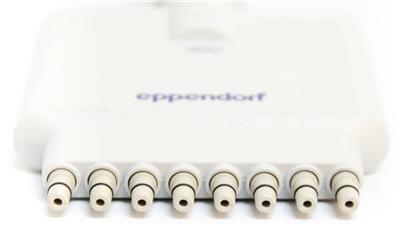 This 8 channel pipettor is equipped with o rings on each of the 8 channels. This pipet system is adjustable between 30-300µL. 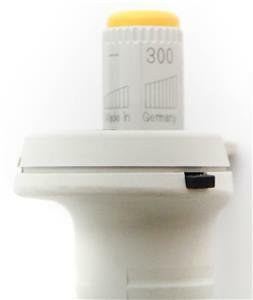 This item is adjustable via a twisting head that can increase or decrease the amount µL you need. 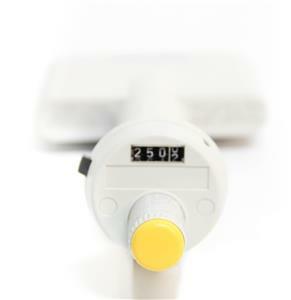 This item has interchangeable manifolds, to remove the manifold all you have to do is adjust volume to the highest setting. See images for full description. Defects: Lightly used, we are unable to test for accuracy. All moving parts appear to be in working order.